Bitcoin is the first ever Cryptocurrency invented in the year 2008 by the name SATOSHI NAKAMOTO and published as an open source in the year 2009. Usage of bitcoins has many advantages, though it has many advantages it has disadvantages too. The bitcoin helps to use even the smallest part of it instead of using the whole bitcoin at once as the value of bitcoin is high, Satoshi (1/100000000) and mBTC (milli Bitcoin - 1/1000) can be usually considered as smallest parts of the bitcoin. Bitcoin is divisible, irreversible, fungible and portable. Bitcoins generally involve in low transaction fees and fast transactions. Bitcoin works on a decentralized network or system where the interference of any third party member as central authority is restricted and the transactions wholly take place between users itself using peer to peer networking system. All the transactions in the network are stored publicly and permanently by which everyone can see the transactions and balance of any Bitcoin address. All the bitcoins are stored in a digital wallet known as a Crypto Wallet. Not only bitcoin we have many other forms of cryptocurrency generally termed as Altcoins. A transaction generally takes place between the bitcoin wallets or Crypto wallets or any other third party wallets, whenever a message or request of the transaction is confirmed by providing a mathematical proof the seed or private key of the wallet gets activated which is used to sign the transactions. All the transactions between users are confirmed within 10 minutes by the network through the process of Mining. Mining even prevents individuals to alter the Blockchain by either adding or removing the blocks. The blockchain is the software platform for digital assets leading all over the world. The blockchain is a data structure which usually has a set of blocks which are hashed or encoded batches of transactions; the blocks are connected in a chronological order. The Network of the blockchain is often considered to follow the state of consensus, in this system for every ten minutes the network checks itself. All the authentication requirements are fulfilled by using the private key of Cryptography. Blockchain technology stood as the backbone to the transactions now a day by allowing the digital information to be distributed instead of getting copied. A blockchain is a decentralized digital and public ledger used for all the cryptocurrency transactions. The time required to add an extra block in the blockchain is known as block time, the block time for bitcoin is 10 minutes whereas this time has been decreased in the other cryptocurrency forms as Ethereum, Monero, Ripple and etc. There are about 1639 cryptocurrency forms on whole. Blockchains are further classified into three types on basis of the accessing terms and conditions namely public, private and consortium blockchains. Double spending can be prevented using blockchain technology. For the convenience of the users of bitcoin, many bitcoin ATMs have been placed all over the world, using these ATM people can either exchange their bitcoins for cash or cash for bitcoins. These ATM machines are generally known as Bitcoin Kiosks. The ATM charges some amount of fee as 7% of the total amount involved in the exchange, as per the study. There are about 3164 ATM machines all over the world. Blockchain technology is widely used in our day to day life to store or record the digital identity, tokenization, and inter-organizational data management. Blockchain technology is even being used for financial institutions, governments, hospitals, companies and audit trials. Bitcoins are mostly accepted by educational institutes, payment sectors, etc. Not only for the financial purpose; blockchain technology even has some non-financial applications too. 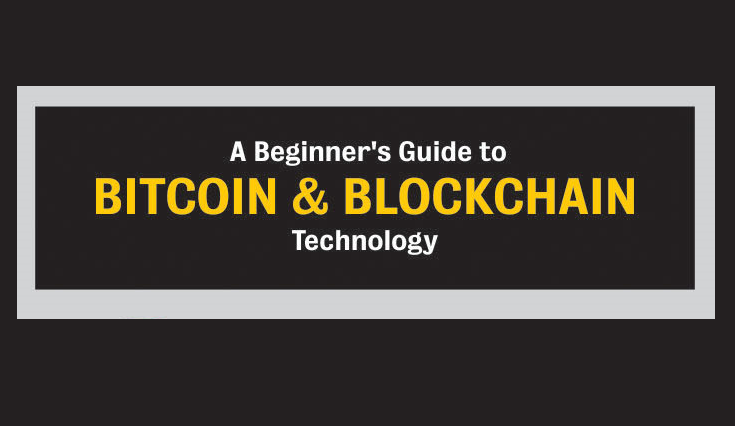 To learn more about Blockchain Technology and Bitcoin Cryptocurrency; you can check out the following Infographic developed by team "Bitcoinfy" for beginners and learners like you.